Auto Salvage Services. Abel Brothers Towing is a state licensed auto salvage company. Our salvage operations serve 2 purposes. First, for the convenience of our customers whose car or truck has been disabled or is in need of tow and has no or little economic value – we will tow and salvage the vehicle. This removes the burden of additional costs from the consumer who is already in a bad situation. Environmentally Friendly. Second, we recycle whatever we can to reduce the environmental impact of abandoned or zero value vehicles. We are an environmentally friendly auto salvage company and prepare vehicles for dis-assembly, repair or sell the parts, and handle the final recycling process. Customer Convenience. 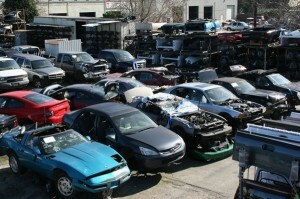 Consumers never realize how time consuming it is to salvage a car. In Pennsylvania, the Pennsylvania Department of Transportation (PennDOT) defines a salvaged vehicle as one that is either inoperable or unable to pass a state safety inspection without the owner having to spend more on repairs than the vehicle is actually worth. To keep unscrupulous auto dealers honest, PennDot requires every car to be registered and titled. This process is complex and expensive which is why Abel Brothers offers our salvage service. To apply for an original certificate of salvage, complete an Application for Nonrepairable or Salvage Certificate (Form MV-6).